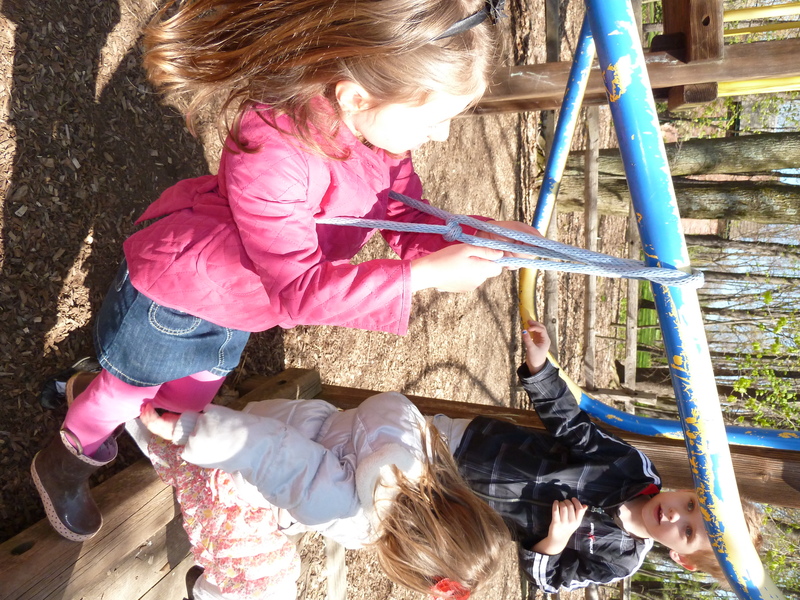 What happens when a child is given access to regular, everyday objects and time to explore? Innovation, of course! 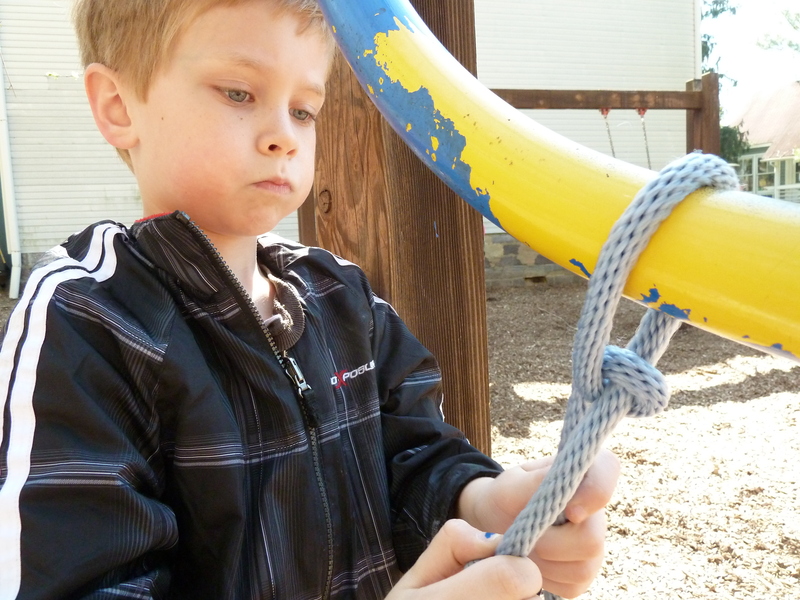 Last week, two of our children discovered some heavy-duty rope in amongst our more standard, plastic link-covered jump ropes. They immediately set off toward the monkey bars with a mission. They explained their goal was to make a zip line that would slide down the lower, angled bars. At first, the teachers were a bit anxious. Should they let this experiment play out, or put the kibosh on it immediately? The agitated grown-ups eventually plopped themselves right in the middle of the experiment and watched the brain waves fly. Once two children dangled freely from the bars, all of the students wanted in on the action. The two newly dubbed experts helped tie-in one friend at a time. 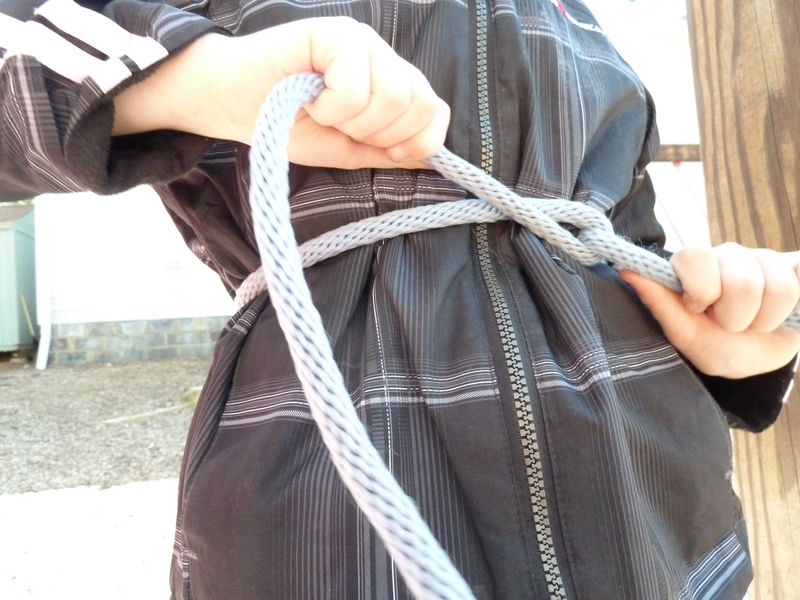 It was discovered that it is much more difficult to tie a rope while someone else is wearing it. Our experimenters also were surprised that the ropes did not readily slide across the metal bars. Eventually, they chose to hang from the bar, rather than zip down it. The team work, self-regulation skills and language development that flowed from this project was amazing to watch. Most of the children who were involved stayed with this project for over 30 minutes. Although the knots frequently fell apart, our young scientists did not give up. 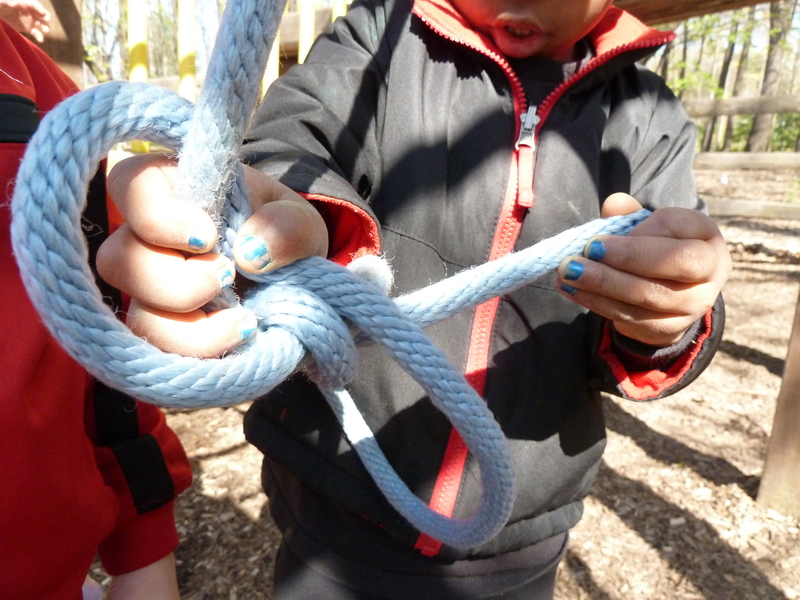 Not once did we hear, “I quit!” As friends tried to discover the most secure knot, language describing directions (over, under, around, through), suggestions (why don’t you try…) and feelings (I’m frustrated with this crazy rope!) drifted by our ears. It may not have ended up being a very “zippy” project, but deep involvement we witnessed inspires us to continue to support the ideas and experiments of our students.